Though introduced more than a hundred years ago, this style of molding is far from fuddy-duddy. Learn how it can still have a place in today's homes, both functionally and aesthetically. Picture rails are 1½-inch to 2-inch strips of molding that adhere to walls and run horizontally around the room, typically at the height that aligns with the tops of any window panes or just above the full. Sometimes, however, they can almost blend in with the crown molding, placed only a few inches from the ceiling. What distinguishes this trim from others in the room is its (potential) function. What is picture rail molding for? This type of molding was once an elegant way of hanging artwork on hard-to-penetrate plaster walls. Popular in New England and Southern townhouses during the Victorian era, picture rails may seem like a quaint throwback, but they can still look fresh today and serve a purpose. 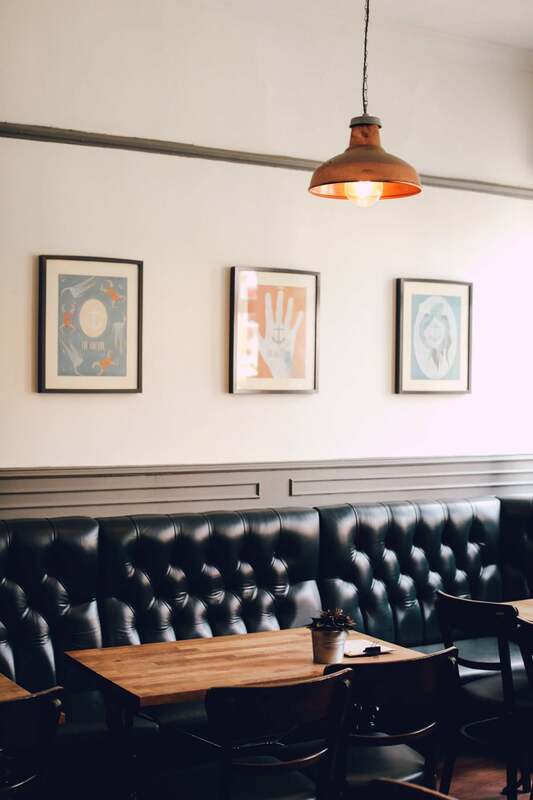 For an art collector who often rotates works, a landlord who manages frequent tenant changes, and any homeowner who simply like walls free of nail holes, picture rails offer a practical solution. How do I install picture rail molding? If your home was built before World War II, you might be lucky enough to have this rail running throughout your living spaces. More modern homes and cookie cutter styles can still achieve the look, though. Select a picture rail style. Home stores typically carry a couple of options when it comes to picture rails, so it’s easier than you’d think to track down this material. It’s affordable, too! A 1¾-inch solid pine option from Lowe’s runs just $1.49 per linear foot. House of Antique Hardware carries Colonial Revival, Classic Ogee, Craftsman, and Victorian picture molding options, if you’re looking to match your home’s original profile. These historically accurate styles are a bit pricier, ranging from $1.73 to $4.27 per linear foot. Measure from the ceiling down to the top of your window’s opening and take note—this will be the distance from the ceiling to the picture rail. Then, mark this distance from the ceiling on all of your walls in multiple places. Connect these dots with painter’s tape or a chalk line so that you can fully visualize what molding would look like here. This is your chance to determine if you want to move it up or down for aesthetics. You can also check now to see that the molding will be level. Stain or prime picture rail molding before it goes up on the wall. If you’ve purchased unfinished trim, decide now whether you’d like to stain or paint. If staining, that’s a process best to do before attaching it to the wall—touch-ups, of course, can happen after the nails. If you’re painting the molding, apply the primer first, attach the molding to the wall, and then paint the molding after the wood filler in the nail holes has completely dried. Fasten picture rail molding to the wall. To provide support wherever it’s needed, the molding should be secured to the wall studs. Use a stud finder to locate and mark these along the picture rail path. Then, hammer or use a nail gun to put 3″-long finishing nails through the molding into wooden studs. Recess these fasteners with a nail set. Fill nail holes and paint the new picture rail. Wherever you see a divot, fill in with wood filler and sand the excess smooth. Finish with a bead of caulk along the top and bottom edges of the molding where it meets the wall. Wait for both products to cure before you paint or hang anything upon your new rail. How do frames hang from picture rail molding? Once the molding is in place, you’ll need hardware that hooks around the molding’s profile and carries the weight of the artwork. These hooks can be tough to find. Some local hardware shops carry options in their picture-hanging section, but you shouldn’t rely on big box chains to have this specialty item. Online sites Van Dyke’s Restorers, House of Antique Hardware, and Rejuvenation carry great and affordable versions. Most common are ½”- and ¼”-wide versions, with the ½-inch tending to be more stable. The standard finish is brass, but House of Antique Hardware carries a few satin white-, antique white-, and satin black-painted options. Use metal or invisible hanging wire (think fishing line) of the proper gauge to create a loop between the frame’s hardware and the picture hook above. If you really want an authentic Victorian look, these same sources also carry cord kits with a medallion plus hook, cord, and tassel. This look is not for the modern design aficionados among us, but rather for the preservationists and historically minded. How should I design with picture rail molding? Paint picture rail to match your molding. Often, the other window trim, doorway casings, and crown molding in the room will be painted a creamy white, which creates crisp lines against whatever paint color you choose. Don’t be afraid of dark colors, though: Glossy black molding against light walls can be just as dramatic, while treating your molding as the color in the room—be that a pastel or a bright hue—would feel fresh. Paint picture rail to match your walls. Disappearing picture rail against your wall puts the focus on your framed pictures rather than how they hang, if that’s how you intend to use the rail. No interest in wall art? Use the barely-there ornamentation of picture rail molding as texture in a room with a minimalist design scheme. Make the molding a dividing line between two wall colors. You can add more visual interest and drama using less paint than it would take to paint a full room by just coloring either the wall space below or the space above the picture rail. Bonus: Match the color above the rail to the ceiling, and you make it appear higher by drawing your eyes up. Additional reporting by Rebecca Thienes Cherny.